N.E. Coach Head Coach New England Patriots --- Elite Game Reward. No Trade/No Auction. Gives +1 AWR. N.E. 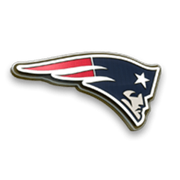 Coach Head Coach New England Patriots 5,055 Upgrade to Elite tier by completing N.E. coach collection. Please make these tradable for Sunday May 3 2014 I have it on my other account and I really need it on my main account!